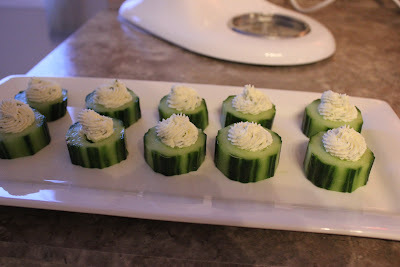 These little bites are super easy to make, very tasty and really cute. You can serve with a meal or as a appetizer. 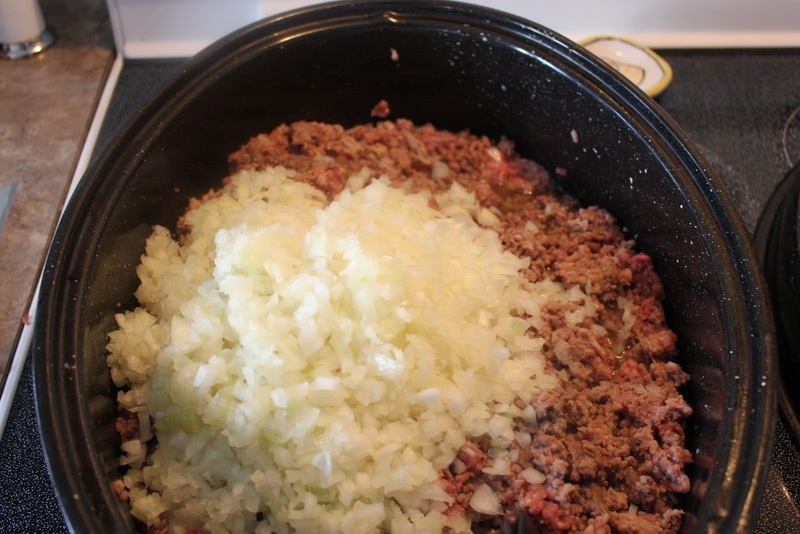 Here is a excellent chili recipe that I have made for my family for many years. Chili is a simple one pot meal that is great served with freshly baked corn muffins or biscuits and a nice green salad!! 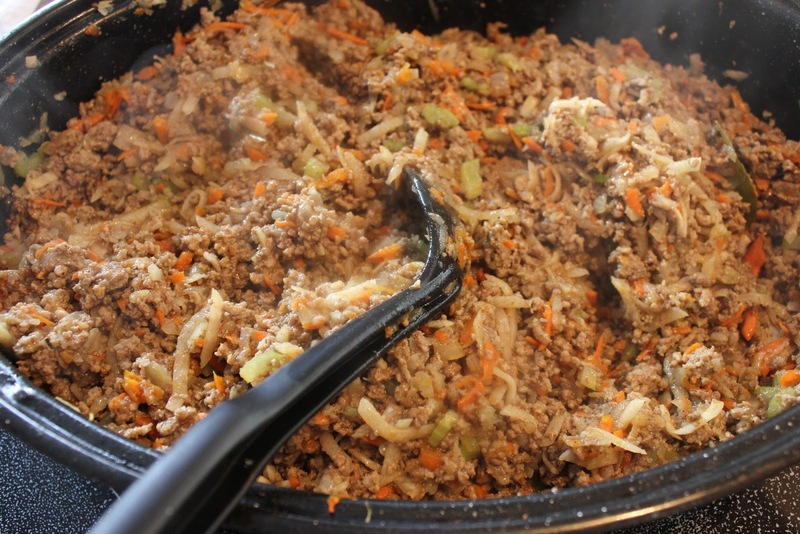 Make a big pot and then freeze some for another meal or serve the leftovers the next day. My family likes it spicy so I add hot salsa or fresh peppers but if you don't like it hot add mild salsa. 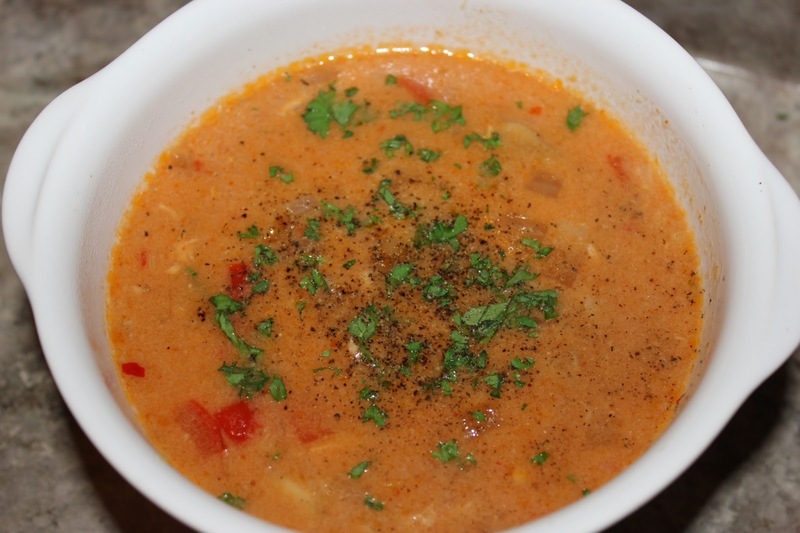 This soup is absolutely delicious and has been slightly adapted from a recipe found on the Foodbuzz. It has a lovely Thai flavor. 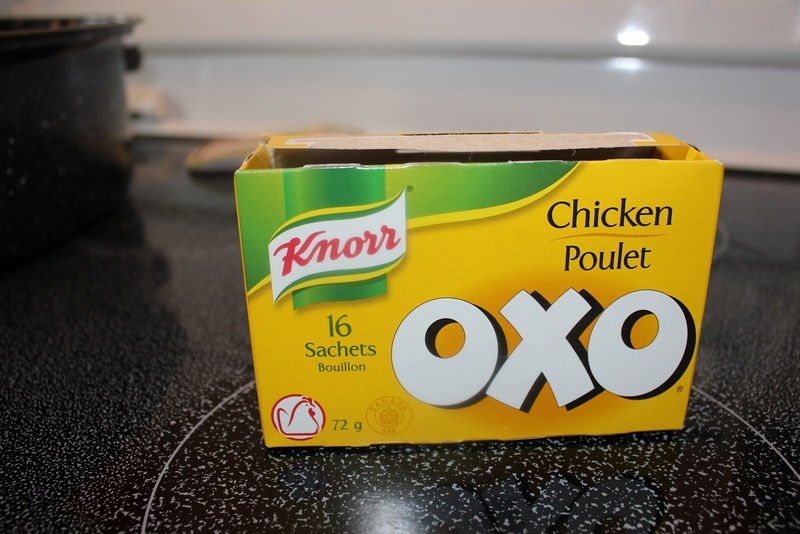 If you have left over chicken make this soup instead of chicken noodle. It is quite hardy and can be served as a meal or to start in smaller portions. If you love the fixings of a baked potato then we think you will love this dip .The potato chips are especially good with this dip but of course you can use ripple chips or your favourite crackers. 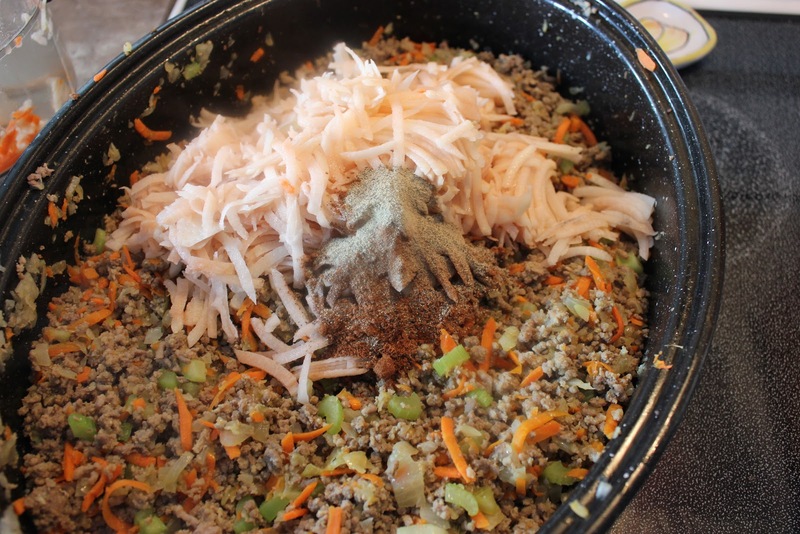 Make this for your next gathering and watch your guests dig in! We love macaroni and cheese and I am not talking about the stuff in a box!!! We like creamy, smooth, cheesy,gooey macaroni!!! While in Seattle this year we went to a restaurant called the "Icon Grill"and they served the best macaroni and cheese that we have ever tasted!!! We were there for three days and we ordered it all three days, that's how good it was!!! When they serve it at the table, the waiter takes a knife and pokes holes into the macaroni and then pours more cheese sauce over the bubbling macaroni!!! This dish is not low calorie so don't make it if your on a diet and don't try to make it "light" either, what would be the point of that??? Our philosophy is to enjoy a little of something really good rather than to enjoy a lot of something that is mediocre! We love the addition of tomatoes as it offsets the richness nicely. Try our rendition of this dish but if your ever in Seattle go to the Icon Grill you won't be disappointed!! This is a great recipe for the slow cooker, as it takes a tougher cut of beef and by cooking it slowly produces a tender slice of beef perfect for beef dip. Serve with a green salad. This is one of our favorite soups and so easy to make. I fell in love with this soup many years ago and have developed this recipe over the years and feel I have re-created an excellent version,hope you like it too!! 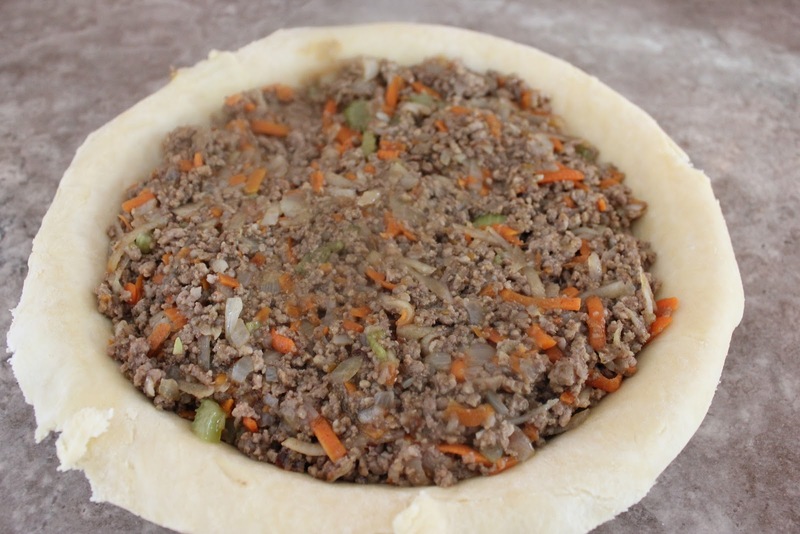 I started making this French Canadian meat pie (tourtiere) recipe over 30 years ago. I found it in a Readers Digest magazine. 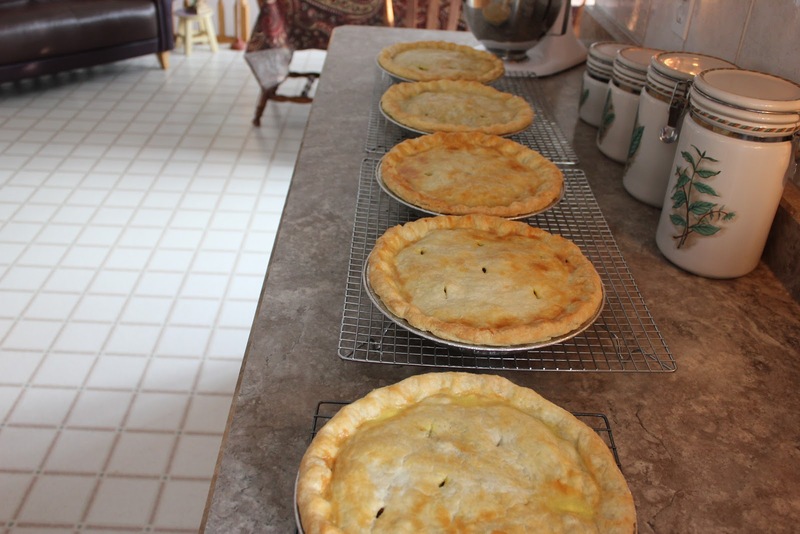 My husband and I make 6-8 pies every December before Christmas. 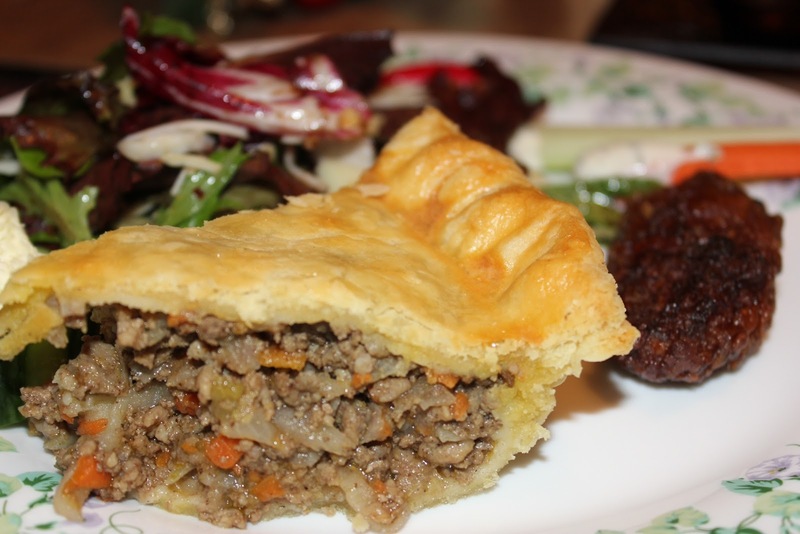 Traditionally it is served on Christmas Eve but it is a nice hearty pie that can be served anytime with ketchup and a nice salad. He says they are the best he has tried. 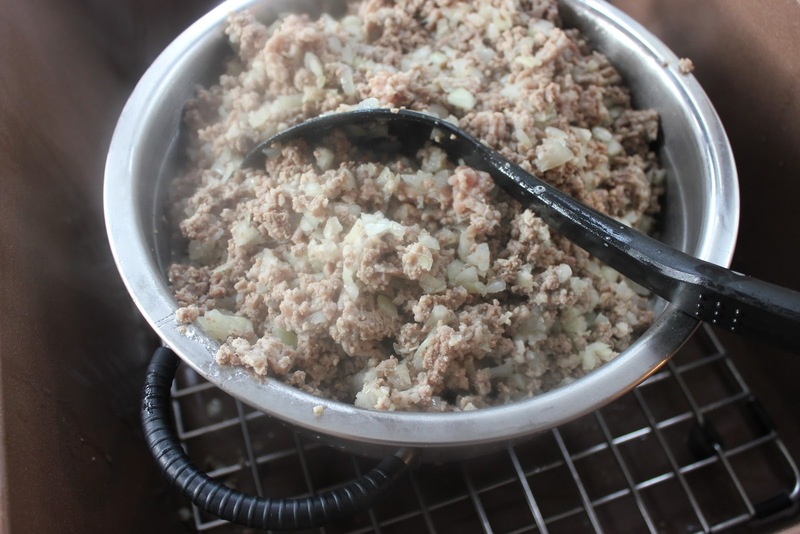 In a large skillet, brown beef and pork with onion and garlic, drain fat. Stir in water, celery, carrot, OXO packets, and bay leaf. Bring to a boil, reduce heat and simmer 7-8 minutes. Add potato and spices and cook for 5 minutes. Remove from heat. Spoon meat mixture into pie shell, place second pie shell over top of pie. 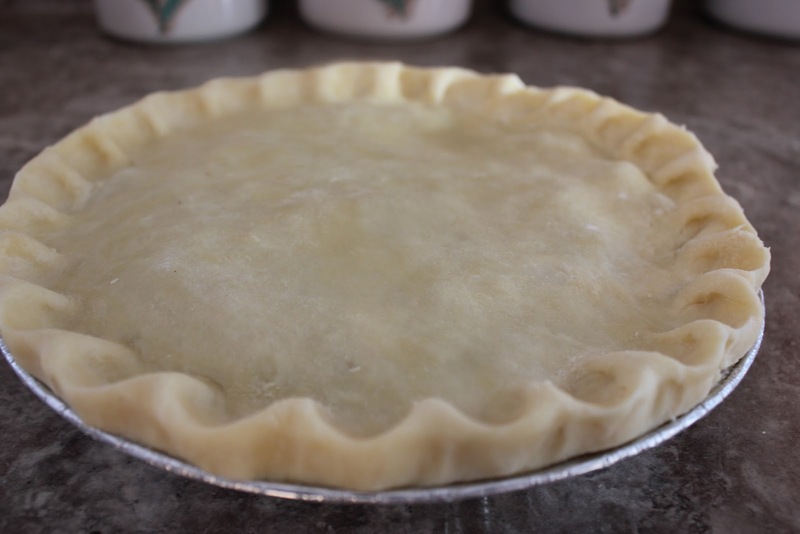 Flute edges, make several slits on top of pastry crust. Mix egg yolk and water and mix well. 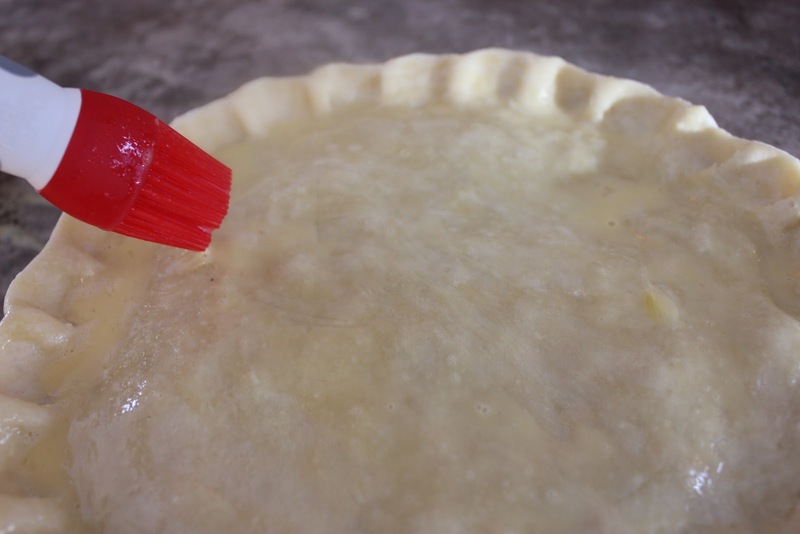 Brush top of pie crust with egg mixture. Bake at 375 for 30-40 minutes. Makes 8 servings. 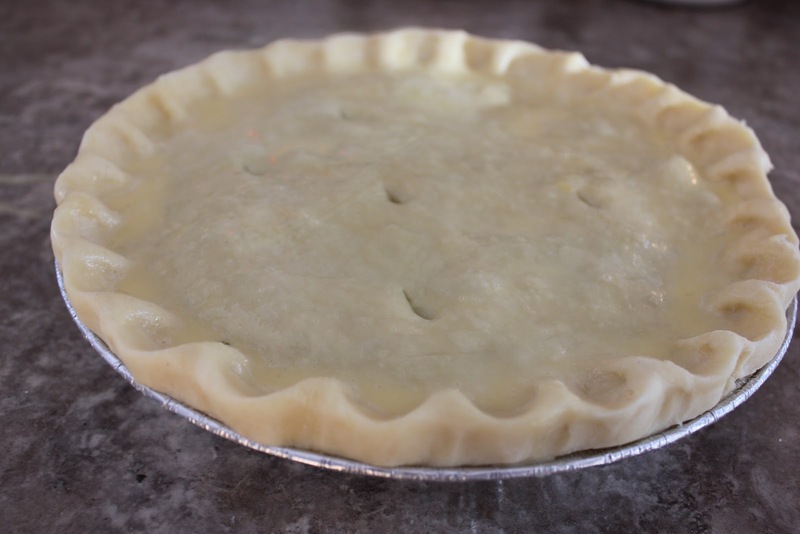 It you want to make more pies than add time to he cooking of the filling. Using a large colander drain fat and return to skillet. Cook and bring to a boil and simmer for 7 - 8 minutes. If you are making a large batch this step will take longer. 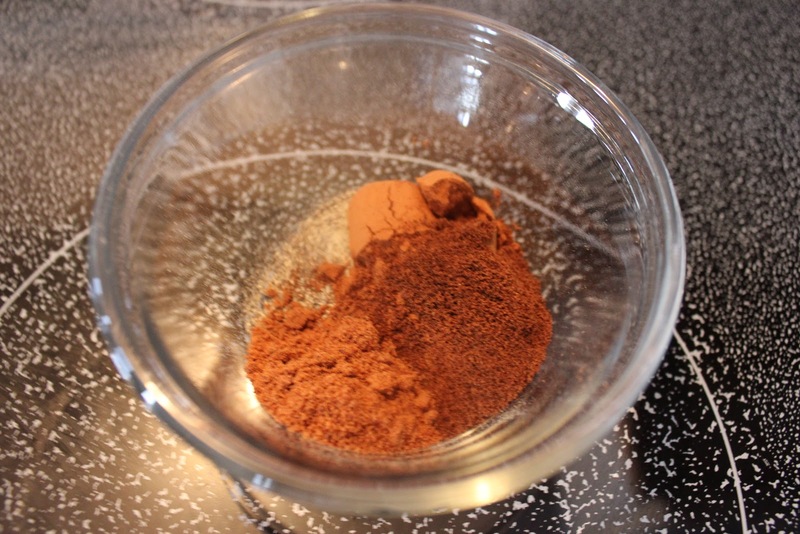 Combine spices. Adjust to your taste. Add the spices and grated potato. 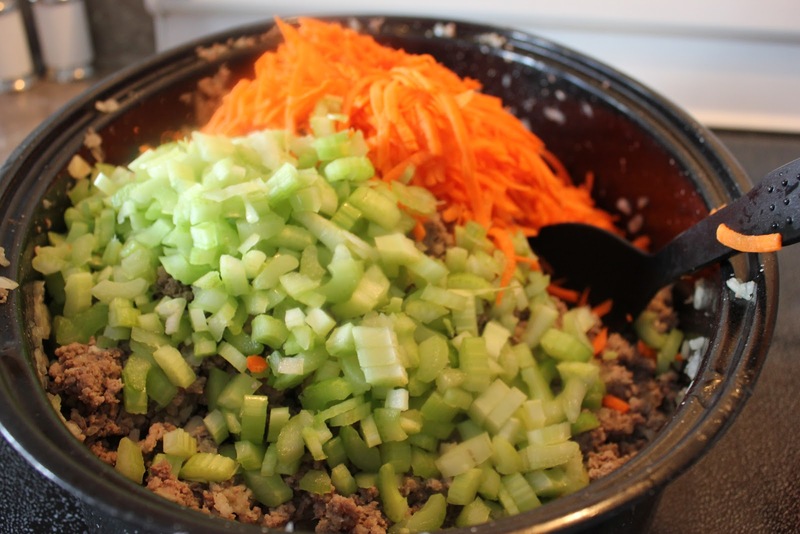 Continue to cook until the carrot, celery and potato are completely cooked. 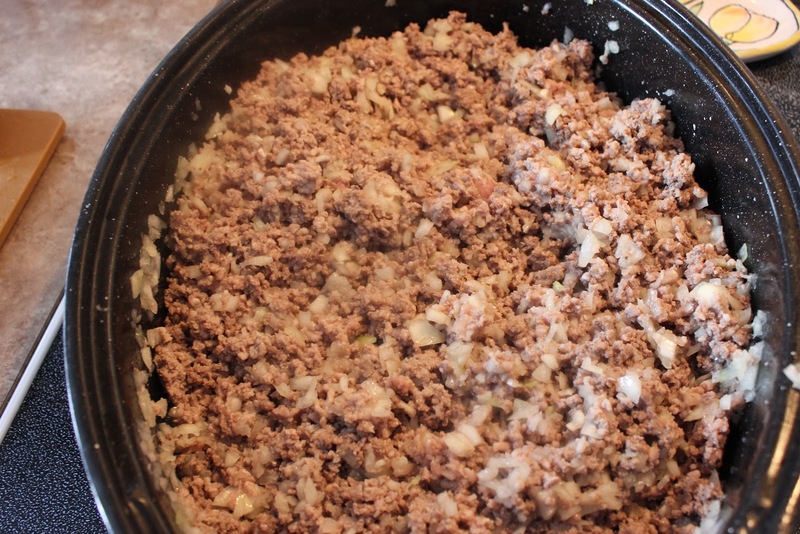 Spoon meat mixture into pie shell. 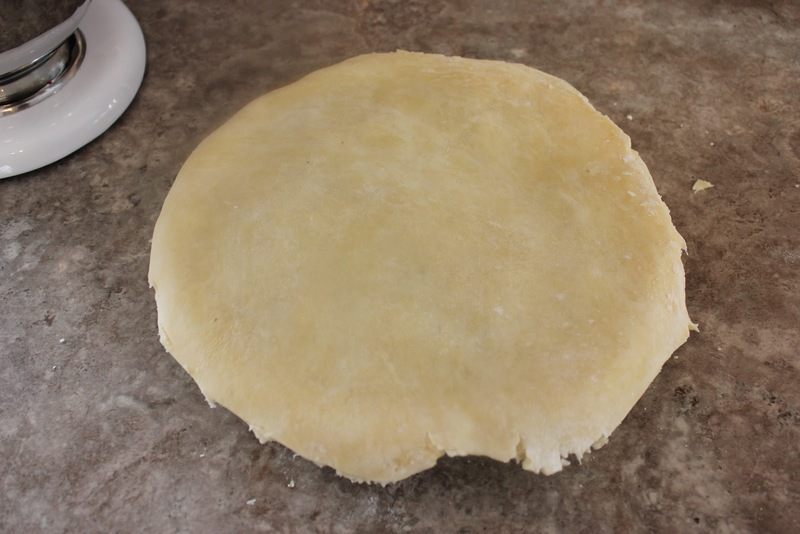 I use my own pie dough ( to be honest it is so easy and I think it tastes better than a store bought shell), but if you want you can use store bought. Place second shell on top. Baste with egg yolk/water mixture. Place in the oven and bake for approximately 30 - 40 mintues. 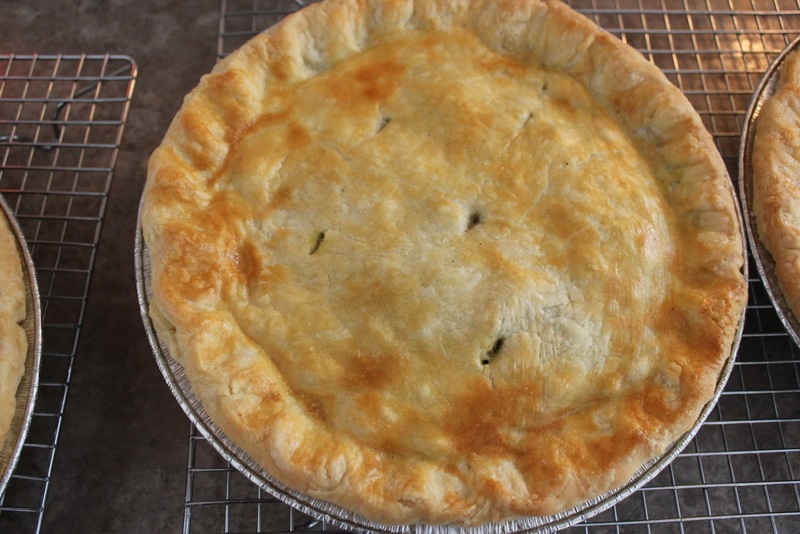 These pies freeze well and are perfect for a potluck dinner or to give to friends and family. Hearty beef stew is the perfect winter comfort food. 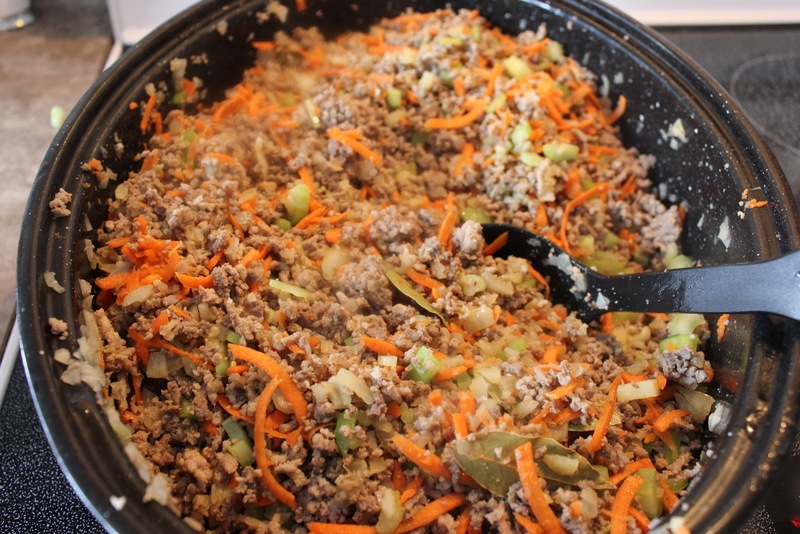 Great dish to serve to a large group as you can prepare it ahead of time and then serve it with fresh bread buns or biscuits!! I often make a big pot for my family, knowing we will have leftovers as this stew just keeps getting better even after re-heating. I love to use boneless beef blade steak but you can use whatever stew meat you want, but what is really important is that you brown the meat before adding it to the stew. I like to add a nice hardy red wine but you can omit it if you like, just add more beef broth. I usually add fresh herbs but you can substitute dried herbs. I like to add a little sweet potato and parsnips to my stew and sometimes sauteed mushrooms, it just depends what I have in my cupboard. Sometimes I don't add any potatoes into the stew,instead, I serve the stew over mashed potatoes anyway is awesome!! Nothing beats a prime rib roast beef dinner with piping hot Yorkshire pudding fresh out of the oven. You may have tried them in a restaurant and thought to yourself; why would anyone serve these these dried out, hollow, tasteless, cold, muffin looking buns with a delicious prime rib! Most likely they were made early in the day and reheated just before serving. Or you tried to make them yourself and the Yorkshire failed to rise and they looked more like hockey pucks!! If made fresh and served with a nice brown gravy they are absolutely delicious. This recipe is designed for higher altitude parts of the world. 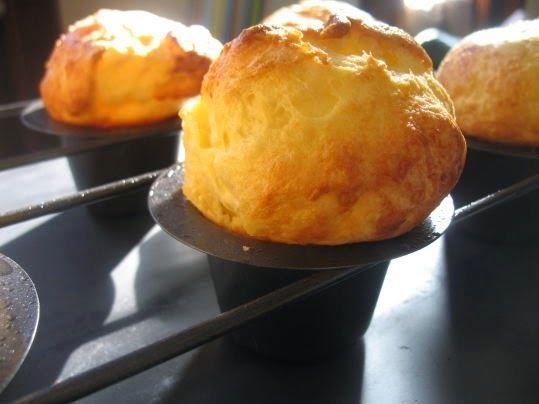 If you have tried making the standard Yorkshire Pudding recipe which most likely originated in Britain it may have not been successful if you live in high altitude area of the world (food science 101). We live in Alberta, Canada which is 2,192 above sea level. We guarantee these to rise.